The conclusion of most, if not all the teachers and DOE employees I have spoken with, is that the new Danielson evaluation system stinks....should be thrown out pronto. As I urged in my previous article, Movement Starts: Toward an End To Involuntary Payment of Dues to the UFT , dues-paying members of the UFT should look into stopping their waste of money into the pockets of UNITY hacks who do deals behind closed doors. What has Mike Mulgrew done to help you? Yes, I mean YOU, if you are paying dues. If you cannot answer this question, shouldn't you try to stop paying Mike Mulgrew and start putting all of your dues money into YOUR welfare? Call the UFT Welfare Fund. Tell them you want all of your dues to go to them for your health and welfare. Maybe those folks at 52 Broadway will start picking up the phone and really advocate for members, if their salary is merit-based and not automatic. Give the UFT UNITY CAUCUS members MERIT PAY and/or a commission based upon the number of successful cases brought to grievances or 3020-a. ALBANY — Assembly Democrats are strongly opposed to Gov. Cuomo’s decision to impose a second strings-attached deadline on the city to approve a teacher evaluation plan. The chamber’s Democrats — a majority of whom represent city districts — fear children could once again suffer as a result of Cuomo’s call to put another $224 million in state education aid on the line in the evaluation war. 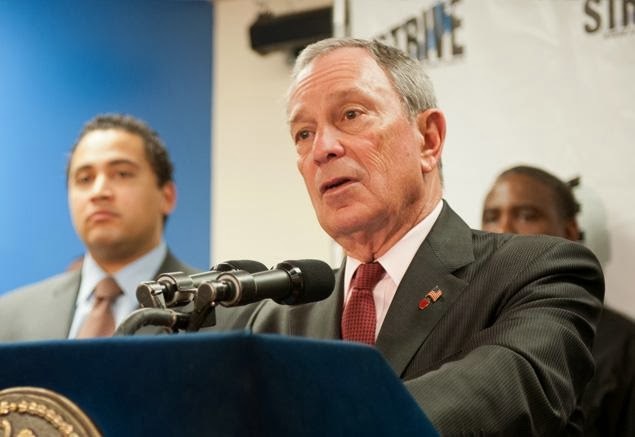 City schools lost $450 million in state and federal funding when Mayor Bloomberg and city teachers union President Michael Mulgrew failed to reach agreement on an evaluation plan by a Jan. 17 deadline. Now, Cuomo has set a new deadline of Sept. 1, and his 2013-14 budget plan will yank $224 million in planned aid to city schools if it is not met. A source close to Assembly Speaker Sheldon Silver indicated the conference of legislators in the Assembly representing New York City could side against Cuomo's new deadline for a teacher evaluation plan due to the risk of losing city education funding. 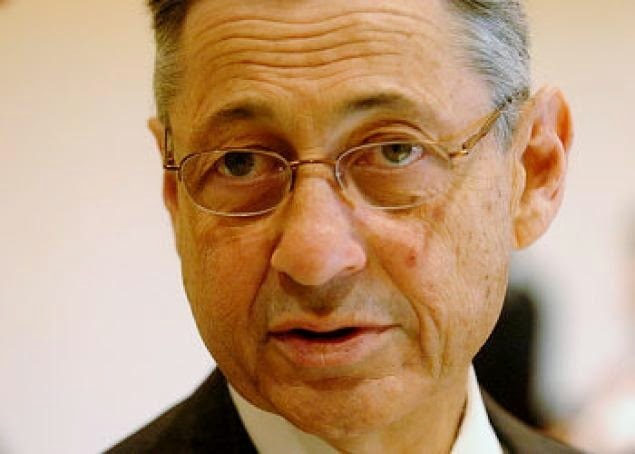 A source close to Assembly Speaker Sheldon Silver (D-Manhattan) said the issue is vital to the conference, given that 60% of its members represent the city. Assembly Democrats note that the state share of funding the city lost at the Jan. 17 deadline — $250 million — was a planned 4% increase in education funding in the 2012-13 budget. That depleted the city’s education aid base, they say, making city schools less able to withstand potential loss of the additional state funding Cuomo is dangling to coax a deal out of the two sides. “Compounding the cuts in the budget would be very difficult because ultimately it hurts children,” the Silver source said. Cuomo defended his proposal last week during a discussion with the Daily News editorial board, pointing out that the city was one of only six school districts statewide that failed to adopt an evaluation plan by the Jan. 17 deadline. “When 99% of the school districts figure out how to do it, I don’t think you can say the methodology has failed,” Cuomo said. Mayor Bloomberg is expected to address the school aid controversy when he provides budget testimony at a joint legislative hearing in Albany Monday. It will mark the last time as mayor he will deliver such testimony. Top aides to Mayor Bloomberg and Gov. Cuomo and union leaders struck a historic agreement on teacher evaluations just before sunrise Thursday after all-night negotiations fueled by green tea and coffee. The 5:30 a.m. deal broke the tense stalemate between Bloomberg and United Federation of Teachers President Michael Mulgrew over the appeals process for teachers given low ratings. Left unresolved at that moment was Mulgrew’s demand that Bloomberg cancel plans to shutter as many as 33 struggling schools. As the city was coming to life, Bloomberg and Mulgrew faced each other over three cups of coffee at the Viand Cafe, a mayoral favorite on the upper East Side. “I just kept filling the cups,” said waitress Roxana Colla, 46. Neither side gave ground on the closures, though, leaving a crucial decision to Cuomo, sources said. But the governor decided the fight over the closures was not his — and said the evaluation plan was a done deal. All sides praised the agreement, which clears the way for the state to qualify for nearly $1 billion in federal education money, including $60 million designated for struggling city schools. Mulgrew, chief city lobbyist Micah Lasher and others hunkered down in Cuomo chief of staff Larry Schwartz’s office starting 8 a.m. Wednesday, sources said. The talks, held in person and over the phone, then stretched until the wee hours Thursday when the appeals process for city teachers — modeled after one in New Haven — was finalized. Under the terms of the groundbreaking deal, which settles the state teachers union lawsuit against the 2010 evaluation law, 60% of instructor evaluations will be based on measures of teacher performance, such as classroom observations. The remaining 40% will be based on student achievement, with at least half of that component coming from student progress on state exams. Cuomo also wrote into the plan an appeals process for city teachers who earn poor ratings, the bone of contention that caused talks between the city and UFT to break down Dec. 30. Under the new agreement, city teachers rated ineffective will be monitored by an independent validator. If the principal still rates the teacher poorly after a second year and the validator agrees, then the teacher must fight the firing. If the monitor disagrees, the city needs to prove that the teacher should be canned. Under the new system, the union will have the right to appeal up to 13% of the first-year ineffective ratings with an independent panel. Until the city and the teachers union officially ink a deal, a 4% increase in state aid for city schools still hangs in the balance. The remaining sticking point is the 33 schools where, in his State of the City address, Bloomberg threatened to fire half the staff in an effort to collect the federal funds endangered by the evaluation impasse. A source said city officials feared Mulgrew would torpedo the evaluation deal over the issue. 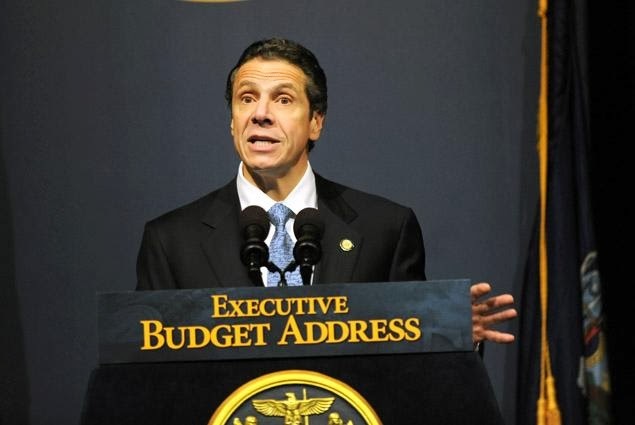 But he stood by Cuomo as he announced the accord in a 12:15 p.m. press conference. “We’ve had 10 years of education reform through destruction,” said Mulgrew, who added that the union will “challenge each and every one” of the mayor’s school closings. The BECK Amendment deals with the issue of members' dues to their union, and where to draw the line. It's an issue that needs to be addressed, especially in New York City and particularly with teachers, paras, and other members who pay UFT BIGs - Mike Mulgrew, Leroy Barr, Ellie Engler - a lot of money basically to do nothing. Communications Workers of America v. Beck, 487 U.S. 735 (1988) is a decision by the United States Supreme Court which held that, in a union security agreement, unions are authorized by statute to collect from non-members only those fees and dues necessary to perform its duties as a collective bargaining representative. The rights identified by the Court in Communications Workers of America v. Beck have since come to be known as "Beck rights," and defining what Beck rights are and how a union must fulfill its duties regarding them is an active area of modern United States labor law. And the worst part of this is, UFT members do not have a choice; in blunt language, if you join the UFT you MUST pay your dues. Paying is not voluntary. Doesn't this leave the BIGs to do whatever they want, from helping someone to doing nothing, as they will get your dues money anyway? 2) permit a member to pay their dues money to benefit THEIR welfare, not that of UNITY folk who couldn't care less what classroom or rubber room you are in. A favorite talking point for the teachers union is that charter-school operators earn more than the schools chancellor. Funny thing: As the United Federation of Teachers’ own spending reports show, at least five UFT executives earn more than the chancellor’s $212,614 base salary; union president Mike Mulgrew makes $250,000. More interesting is that the source of this money is force. While everything about charters is voluntary — no one forces children to attend, teachers to teach there or foundations to pay executive salaries — it’s the opposite for the rest of the system. For the salaries of Mulgrew and Co. come courtesy of an automatic payroll deduction from every teacher’s paycheck that goes for dues. And the city does it for them. Thus, Mulgrew is spared the expense of having to persuade the UFT members he’s worth the dues he asks. And taxpayers underwrite public-sector unions that then use their dollars to buy political influence to extract even more money from the public till. Something’s bugging teachers-union boss Michael Mulgrew — or, at least, he thinks so. The United Federation of Teachers president blew a huge wad of union cash to play out a paranoid James Bond fantasy when he paid $17,849 for a security team to sweep his headquarters for bugs, documents show. A crew from Protective Countermeasures & Consulting Inc. was hired to sweep for listening devices at the UFT’s offices at 52 Broadway, a review of union spending reports reveals. The payments were made in January and March of last year, just as the union leadership grappled with key strategic decisions such as labor-contract negotiations and who to support as the next mayor. The union would not say if any surveillance devices were found. Some union members thought it was unlikely anyone would bug the union — and that it was ridiculous that Mulgrew is using Cold War tactics to play a game of “Tinker, Teacher, Soldier, Spy” in the UFT headquarters. Protective Countermeasures, a New Rochelle-based firm, specializes in identifying security threats such as “corporate eavesdropping” and helps craft “counter espionage” plans. Its Web site says it uses equipment that “neutralizes” bugs. The sweep also checks the electric grid, light fixtures and walls for video transmitters, infrared recorders and laser technology. Eterno wondered if Mulgrew was looking for the UFT version of Edward Snowden. “I don’t think there’s any worry about me or anyone else planting a bug in Mike Mulgrew’s office,” he said. The anti-spy initiative was just one of the entries listed in the UFT’s $190 million spending report covering its massive empire, fueled by $50 semimonthly union dues paid by rank-and-file teachers. 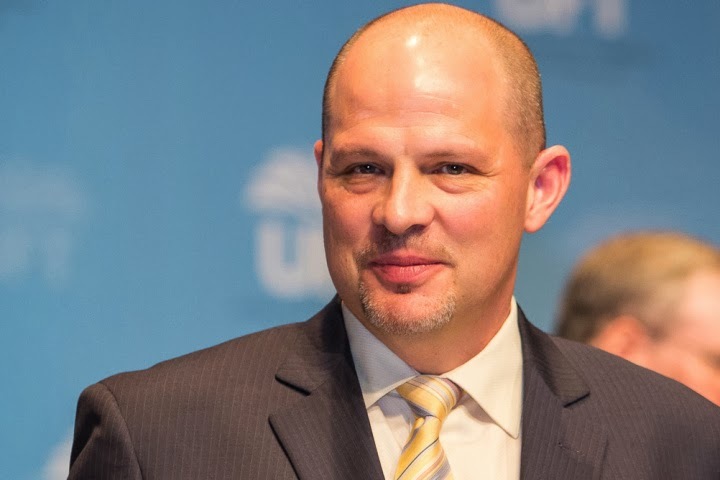 The UFT also poured nearly $4 million into political campaigns through its super PAC, United for the Future, and spent an additional $4.2 million on TV and radio ad blitzes and advocacy. The teachers union defended its spending as appropriate. “The UFT’s financial report covers funds spent on our 200,000 members, including refreshments, reimbursement for transportation and parking and other expenses, along with routine security services,” a union spokesperson said. 54 union reps and staffers got salaries of more than $100,000. The average was $144,000 — triple the starting teacher salary of $45,000. Five UFT officials were compensated more than the $212,614 base salary for the schools chancellor. 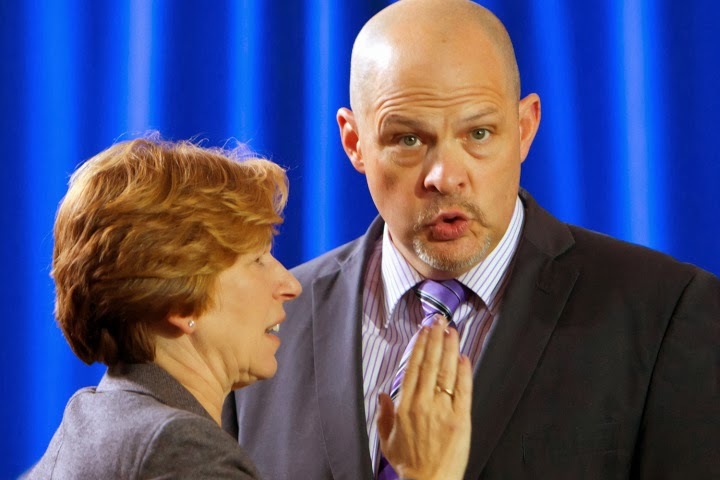 UFT chief Michael Mulgrew makes $250,000. $264,000 to groups that campaign against charter schools, including the rebranded ACORN, now called New York Communities for Change. More than $1.7 million on food, including conferences at the Hilton and Waldorf. $150,000 for tickets to movies, the Radio City Music Hall Christmas show, Mets and minor-league baseball games, and union swag such as mugs and tote bags.